One of the spiritual practices that has been important to me for several years has been the reciting of a mantra which is a sacred Sanskrit phrase repeated over and over. 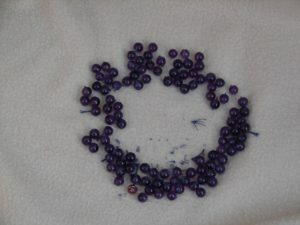 An aide in this process is the mala which is a string of 108 beads. The mala is held in one hand between the thumb and forefinger and with each repetition another bead is held until the entire string of 108 beads is completed. Some spiritual seekers will go through the mala several times in one sitting. This practice is very helpful for aligning one’s life energy with sacred energy. Several years ago I was preparing to move back to Worcester and clearly entering a new phase in my life. It was a Thursday in early June and I was packing for a flight to Colorado for a program with my spiritual teacher. As I was packing a mala I loved deeply it simply broke. It was an ornate mala with an intricate pattern of different kinds of beads. I carefully placed the beads in their original pattern on a desk top thinking that I would have them restrung when I returned from the weekend. I went to the event in Colorado and spoke of this to several of the leaders of the group and learned much to my disappointment that malas are never restrung. The breaking of a mala symbolizes a major change in one’s life. The present era is ending and another is beginning. This mala was deeply symbolic of the phase of life I had been in and it broke exactly when that stage was ending. I reluctantly accepted this with the instruction that the mala was to be ceremonially returned to the earth. I spread it along the Quinapoxet river near my home. It was absolutely true that I was entering a new phase with the moving, restructuring and redesigning of almost every aspect of my life the sense of being in a new phase was pervasive. Following this new path has been wonderful and exciting. I have often felt I am happier than I have ever been. This even includes deep health issues that were among the most difficult experiences I have ever encountered. I loved this second mala. I had recited mantra with it many times and it held the energy of the intention of spiritual growth and commitment. I had been using the mantra “Om Ram, Ramaya Namaha” which calls upon the healing power of Shiva to inhabit my body so that higher currents of energy can flow and healing of body take place. A beloved mala crumbled. And so a new cycle is being born in my life. The breaking of the mala implies the ending of an aspect of karma and progress in life. Restringing a mala according to my research is like trying to rewind karma and be who you were. Not a very inviting prospect no matter how much I loved the mala. 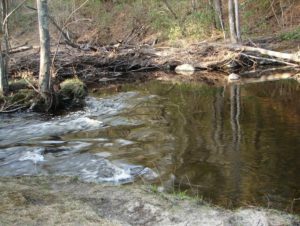 Three months after the surgery I returned the mala to the Earth once again along the Quinapoxet river. I’ll happily enter a new phase of health and no more surgeries. It was not ornate but its color attracted me. Waring it daily reminded me of who I am and of commitments in my life. Often during the day, I run my hand outside my shirt across the mala and get a shot of shakti (spiritual energy). I will miss the mala and those shots. 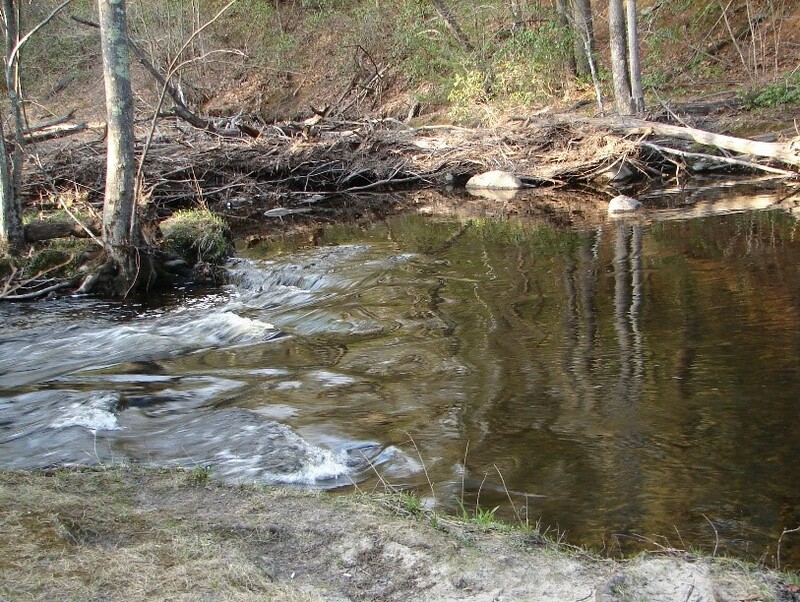 In the midst of life’s natural ebb and flow there is constant change. Stages drift into one another. Nothing is permanent. Everything is temporary. I have another mala now which I hope does not break but obviously there are no guarantees.